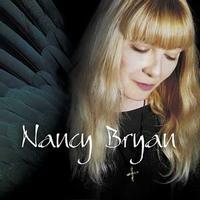 The first non-blues artist on Analogue Productions, Los Angeles singer/songwriter Nancy Bryan offers in Neon Angel, her second APO release, social commentary with intense soul. Bryan's honesty in her approach to song writing has created a stylization that defies category. Neon Angel is a unique and personal body of work. In it, her lyrics are visual and socially relevant, yet intimate, poetic and immediate. Her music ranges from the ethereal to a plaintive earthiness, and at times both expressions are grasped in the same moment. This recording is as classic and as powerful as Joni Mitchell's legendary Blue. The setting for Nancy's songs is specific, yet timeless. Blame It On The Moon is a Southern swamplife spiritual sung against an undulating bass line. Pulse and Time is as light as whipped cream in the confluence of dobro, ukulele and D-tuned acoustic guitar. And you can almost see the cold blue November sky behind a silhouette of skyscrapers in the melancholy Chicago Skyline and feel the singer's loneliness as her soaring vocals cry out for an irredeemable past. Neon Angel was recorded live, direct-to-two-track at Blue Heaven Studios, the converted 77-year-old church in Salina, Kansas. This 13-song, all-acoustic album emphasizes the church's natural acoustics, bringing to life the massive, vaulted ceiling and Nancy on the altar. Though this is only her second solo release, Nancy has won acclaim for several songs she's written and sung for Disney, including a track for the Grammy-nominated and now-gold record Take My Hand. Her songs have also appeared on MTV's popular shows The Real World and Road Rules. Every track on this record is naked and essential and is an equally integral part of a brilliant mosaic.